A few months ago, Vinh Nguyen and Trang Dang quit their full-time jobs in finance and advertising to launch Ru9 – The Sleep Company. But they didn’t just design a mattress. They set out on a mission to improve Vietnamese consumers’ quality of life by combining science and technology with elevated customer service principles. 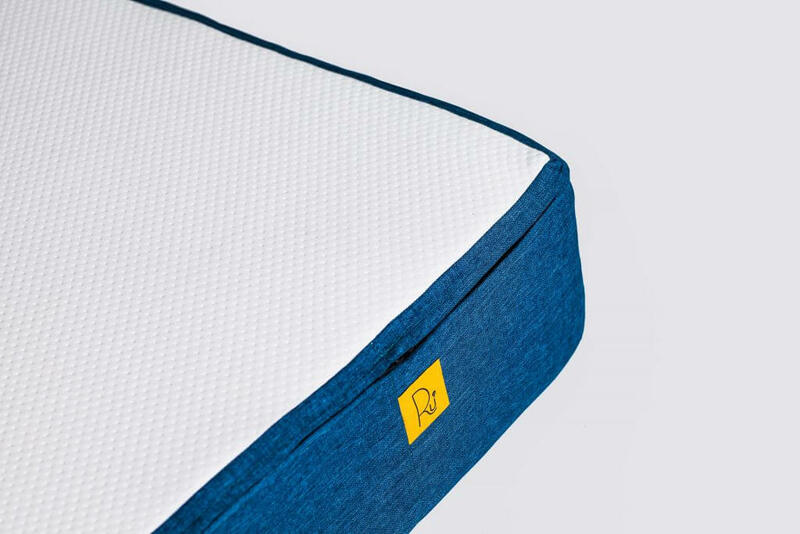 The result is a design-conscious bed-in-a-box complete with advanced cooling memory and contour foam—features that are scientifically proven to enhance sleep by relieving pressure points and regulating body temperature. Vietcetera caught up with Ru9’s co-founders Vinh and Trang before their appearance on Shark Tank to learn about their mission to revolutionize restful sleep in Vietnam. And while we were in their District 2 space, we made sure to book a time slot to test out the mattresses in Ru9’s sleep experience room. What is the meaning of the name “Ru9”? Trang: In Vietnamese, “ru” means lullaby. Many Vietnamese people listen to these gentle songs when they’re children, so it’s a personal, sentimental word to most. 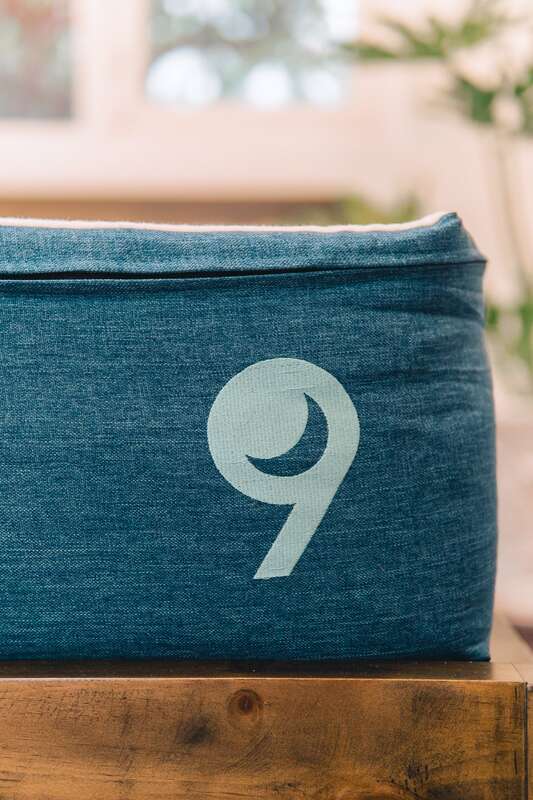 The “9” comes from “cloud nine.” With our mattress, we want people to feel like they are on cloud nine as they fall asleep. Trang: For me, sleep is vital. My mood and productivity depend on it. Without at least seven hours of sleep, I’m not myself. Sleep is fragile and every little circumstance can have an effect on its quality. The level of support, type of material used, and even the environment in which the mattress is purchased, can add to or take away from proper sleep. Ru9 founders Vinh Nguyen [left] and Trang Dang [right] set out on a mission to improve Vietnamese consumers’ quality of life by combining science and technology. How did you two become so invested in sleep and the mattress industry? Trang: I never put much thought into buying a mattress. But when I returned to Vietnam I suffered from an injury while running and was in such excruciating pain that I couldn’t sleep on the same mattress again. That’s when I started doing more research about the topic. That’s the serious problem facing the industry. Consumers can only rely on brand names and salespeople. Vinh: When I worked in finance and technology in the U.S., I constantly had to travel for work. It turned me into a sleep-deprived zombie. Eventually, I decided to invest in a high-quality mattress, and it made a big difference to my levels of energy and productivity. But when I moved back to Vietnam to work at Expedia, I couldn’t get a mattress of similar quality. The concept of a “good mattress” didn’t exist. Because of my personal experiences, I felt passionate about changing that. The goal is simple—to help people achieve a greater quality of life through restful sleep. The Ru9 mattress has advanced cooling memory and contour foam—features that are scientifically proven to enhance sleep. Why are people willing to sacrifice sleep so easily? As Vietnam develops, how can we balance fast-paced living with health and well-being? Vinh: Overworking has become a defining characteristic of corporate culture in Asia. Productivity and dedication are measured by the number of hours spent at the office, so, to most of us living in big cities with fast-paced lives, sacrificing sleep is necessary. But I don’t believe that sleeping less results in better productivity. Prioritizing your health is a personal choice. We can’t force people to eat, sleep, or exercise appropriately, but we can make sure once they decide to invest in their well-being, they have access to more reliable options at Ru9. What are some major issues facing the mattress market in Vietnam? Trang: In Vietnam, we don’t have the option to try mattresses before we buy them. Mattresses here are displayed vertically like books on a shelf, and this eliminates the opportunity for you to decide what is best for your body. Consumers should understand that mattresses are an experience product. Since there is no return policy for mattresses in Vietnam your average consumer doesn’t understand the importance of the process. Before buying a car you’re given the chance to test-drive it and the same should apply to purchasing a bed. It’s expensive, used daily, and has a direct effect on your work and health. It only seems fair that people should be able to try it out first. This is the purpose for our nap room. Customers can try a Ru9 mattress for themselves. They can go ahead and take a long nap—we want the experience to influence whether our customers will buy the mattress, not a sales pitch. Vinh: In Vietnam, reliable customer service is hard to come by and we want to change that. We want customers to trust us and our product. That’s why we also offer a free 100-night trial and free return policy. People kept telling me that I was crazy for initiating a policy like that, but I want to change the dynamic between the consumer and seller. “Our medical experts recommended creating a mattress that contours to your body, relieving pressure on the spine,” explains Trang Dang. 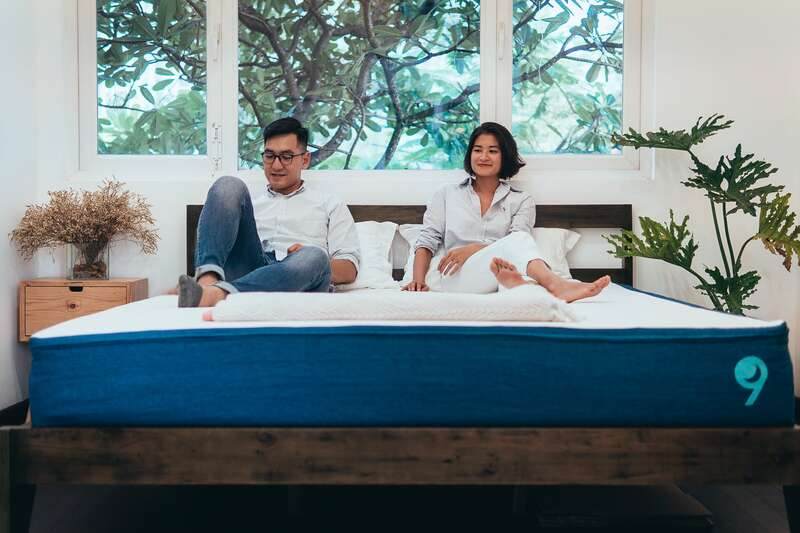 How did you design the Ru9 mattress to fit Vietnamese consumers’ needs? Trang: Sleeping on a softer, more comfortable mattress is a relatively new concept to most Vietnamese consumers. They still prefer hard, flat surfaces. During the research and development stage, we sought out advice from sleep specialists and chiropractic doctors. They recommended creating a mattress that contours to your body, relieving pressure on the spine. Experts also suggested that we employ gel-cooling memory foam, a feature that helps regulate airflow—an important yet largely overlooked component to getting good sleep in a tropical climate. Then there’s the high-density foam base which provides the firmness that our Vietnamese consumers prefer. What are your goals for Ru9? Trang: We don’t want to just sell a product. We want to educate people on the importance of sleep and the critical role mattresses play in achieving that. One of our partners is an American doctor. He found that with his patients, no matter how many sessions they had with him, their back pain wouldn’t go away unless they changed their sleep environment. “We also employ gel-cooling memory foam, a feature that helps regulate airflow. This is important for getting good sleep in a tropical climate,” says Trang. What prompted you to enter Shark Tank? What did you hope to get out of it? Vinh: We actually didn’t plan on entering Shark Tank. We only found out about the opportunity two days before the application was due. We applied because in Vietnam, the high-density foam mattress is still a new concept only known by the few who have experienced it in Western countries. We thought the television program would be an effective way to introduce our product and its health benefits to more Vietnamese consumers. With increased awareness and an improved relationship between the business and consumer, we can get our product to more people. And, most importantly, we are able to provide better quality sleep to people in Vietnam.